An awards ceremony was held recently at the first Global Outstanding Chinese Business Summit in Malacca, Malaysia. The event was sponsored by the World Eminence Chinese Business Association, the Chinese Culture Promotion Society, the Chinese Literature Publishing Press and the Outstanding Chinese Person's Magazine. Dr.Chen Hongtian, CPPCC member, Hong Kong Justice of the Peace and Chairman of Cheung Kei Group, received the Grand Prize for Leadership. The Grand Prize for Leadership is generally awarded to influential Chinese business people who have made outstanding contributions to Chinese society. During the ceremony, the organizers praised Dr. Chen Hongtian for being a, "Single-minded leader and model Chinese business man." 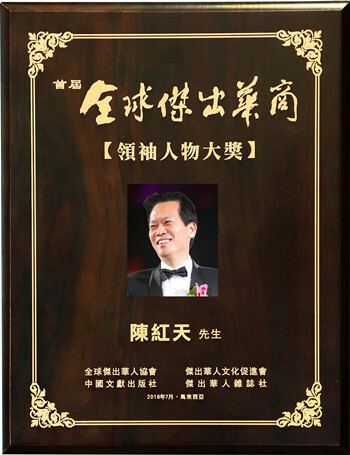 "During 28 years of outstanding leadership, he has steadily led the Cheung Kei Group to excellence. Cheung Kei is now amulti-regional investment group with huge assets, that provides a model of value investment and business culture. He is a political and business leader with considerable appeal, and the Harmony Club that he heads up is a benchmark for Chinese entrepreneur associations. Chinese businesspeople and government representatives from all over the world attended the ceremony. Forty outstanding Chinese businesspeople—men and women who are leaders in their respective industries—were honored for their achievements and contributions at the ceremony. They have made considerable achievements in the business world and have contributed greatly to society, safeguarding the interests of ethnic Chinese people across the globe. At the Global Outstanding Chinese Awards in 2011 and 2014, Dr. Chen Hongtian won both the OutstandingGlobal Chinese Person Award and the Special Contribution Award. At thetwentieth anniversary of Hong Kong's return to the motherland in 2017, he was selected as one of Hong Kong's twenty most influential and outstanding people. 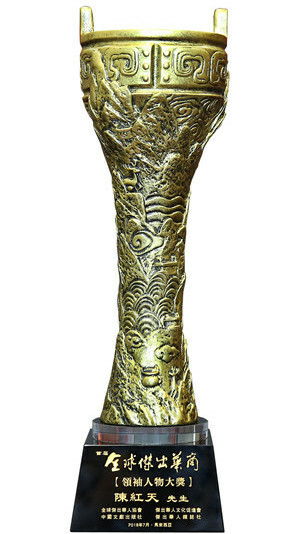 These awards are sponsored by the World Eminence Chinese Business Association, the Chinese Culture Promotion Society, the Chinese Literature Publishing Press and the Outstanding Chinese Person's Magazine.